Today we want to introduce the sweet art of Hele-Pj. It is so sweet :3 Take a look! This entry was posted in Fan Art and tagged cute, fan art, sweet on July 12, 2014 by pepi. The fan art of Nachan (Rosaria Battiloro) is really sweet. Take a look, you might fall in love with the sweetness. This entry was posted in Fan Art and tagged cute, fan art, sweet on July 11, 2014 by pepi. Today we want you to introduce you to the sweet art of Graphite Doll (Blair). Her drawings are so sweet. This entry was posted in Fan Art and tagged beautiful, cute, fan art, sweet on July 5, 2014 by pepi. Welcome to the sweet and cute art of Nene-Takagi. It is so cute! Take a look! This entry was posted in Fan Art and tagged cute, fan art, kawaii on July 4, 2014 by pepi. Today we have a cool cosplayer with us 🙂 Luki Blue! Luki Blue: Born and raised in San Francisco. LB: April 6, 2014 is when I first wore out my Loki cosplay for a convention called Kraken Con. I wanted to dress up as a character that I love and can relate to. Loki has his struggles which are similar to mines. Understanding a lot of Loki’s character, I can really connect to the cosplay personally. I always have fun being in Loki cosplay due to my internal connection to Loki’s character. This entry was posted in Cosplay and tagged cool, cosplay, cute, interview on May 29, 2014 by pepi. Yay! Today we have another cool Cosplayer :3 We hope you’ll like her too! 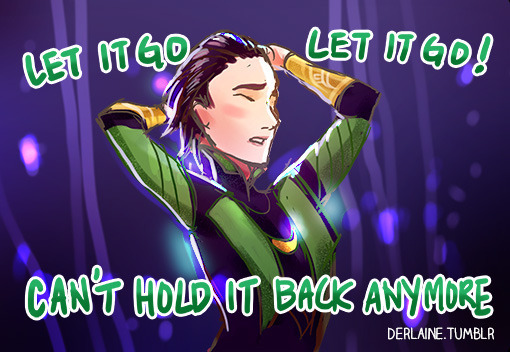 TT: I actually began with Kid Loki from Journey Into Mystery/Young Avengers because I loved his character so much. I had also been encouraged to cosplay as Loki before maybe more as a joke anyway because I already naturally have the green eyes and black hair. TT: I do, and now that I have more of a variety between my Kid Loki, Stuttgart Loki and soon AOA Loki and Siege I get to experience more of the similarities and differences of each of them. With Stuttgart a favorite is to order people to kneel, of course. I have done a few panel appearances so interacting with the audience is so much fun especially in character. Kid Loki also has been in panels and the best thing with that is that he’s so friendly that it can be easier to ad lib more and interact more. Once I sat in an audience member’s lap, it works because I’m fairly small, and stole their chips. The panel lead told me to go sit down, I stood up and yelled “I do what I want!” and then she bribed me with a milk shake. This entry was posted in Cosplay and tagged cosplay, cute, fandom, proud member of Loki's Army on May 1, 2014 by pepi. Yay! We have a new section!! Cosplay! 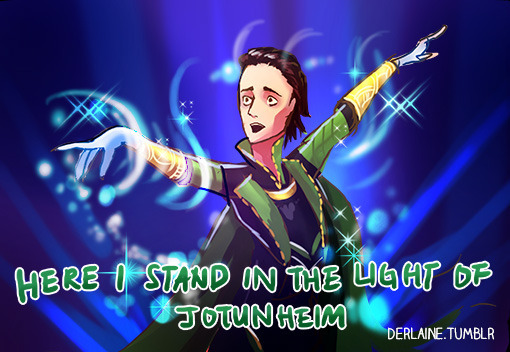 And to begin with it we have the awesome Loki Lumos! Loki Lumos: I am from Austria, my beautiful home in Europe. I have also lived in Texas and in Germany for a while when I was younger. LL: I fell in love with Loki’s character, not only because his actor is handsome and Loki has amazing powers. 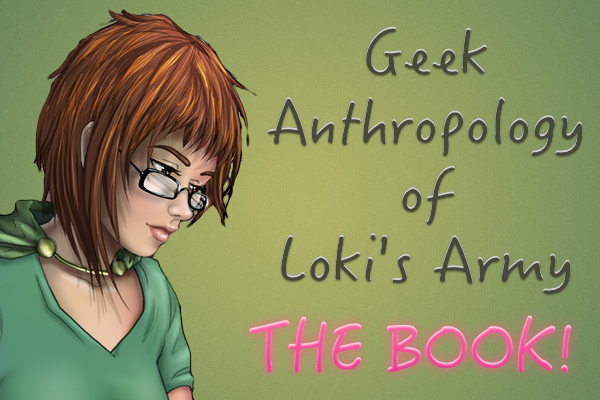 I am very interested in human psychology and Loki is simply fascinating to someone like me. I love his deep character, to figure out why he acts the way he acts and what and how he thinks. Analyzing someone’s character (at least as much as it is possible with the amount of information about him/her you have got) is important for being able to portray your character well. LL: No, not yet. When I cosplay Loki, I try to be InCharacter anyway. But yes, one day I would like to role play a scene, prefered the kneeling scene in Stuttgart. This entry was posted in Cosplay and tagged awesome, cosplay, cute, fandom, proud member of Loki's Army on April 19, 2014 by pepi. Yay! Today Funko Loki got a present from Mr.Spock! A nice Star Trek command pendant! Because he is the King of Kings, and the God of Mischief he gets the command pendant!! xDDDDD He got the nice “silver” color one. Sorry Loki, this is not a weapon, but a really cute pendant to use when you go out. The Logical present to do from Mr.Spock. 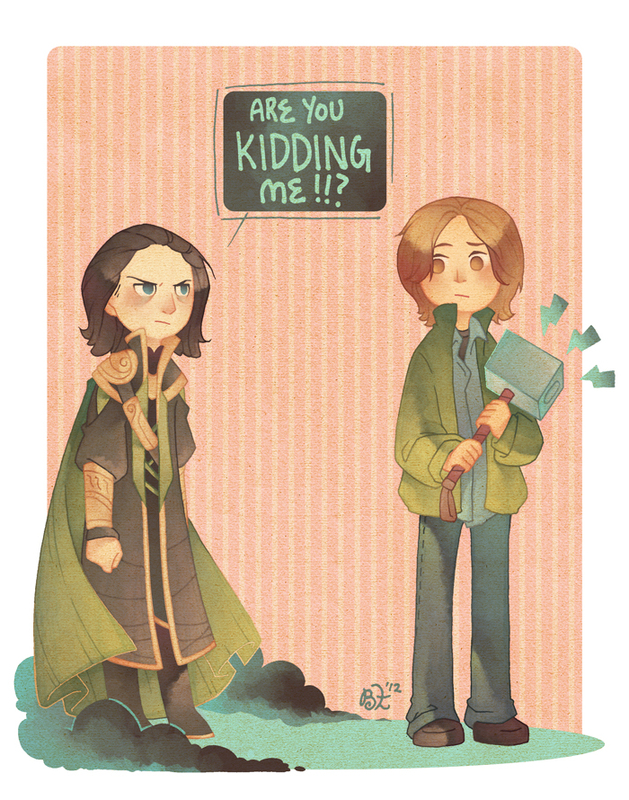 Besides, with your smile, who needs weapons, dear Loki? Note: You can find the pendant here. It is not heavy nor light. So, it is perfect (if it were heavy… it would be a pain for the neck, and if it were too light, it would be like a phantom to wear). There is another option: in yellow. Think about your wardrobe. If you like colors, that one is yours! If you’d like to combine it with everything, I would go for the silver color one. This entry was posted in Funko fun, Loki & Mr. Spock, Reviews and tagged cool, cute, funko, funny, review, you need this on April 17, 2014 by pepi. And with a little bit of magic!!! Tadaaaa!! 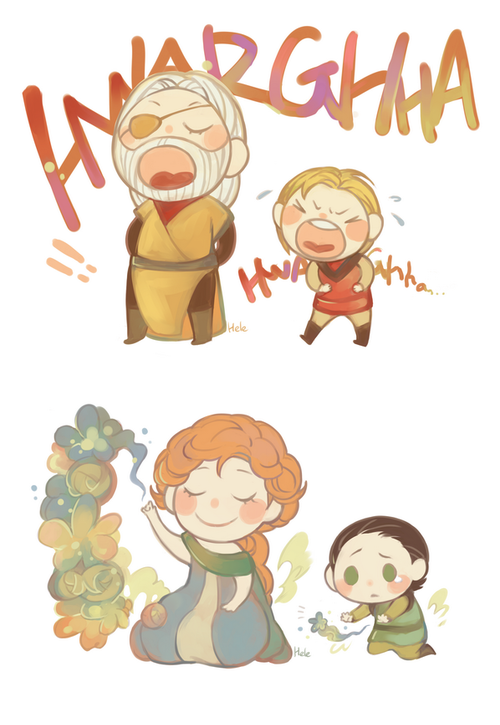 This entry was posted in Fan Art and tagged awe, beautiful, cool, cute, fan art, kawaii, thorki on April 2, 2014 by pepi. Meet our Lokis!!! Crochet Loki, Funko Loki (movies) and tiny Funko Loki (Marvel). So cute!!! This entry was posted in Funko fun, Loki Maihem and tagged awe, cool, cute, funko on March 29, 2014 by pepi.